This site is devoted to vintage music from the early decades of the 20th Century. It is my hope that this site will help further the creation of a new generation of enthusiasts for an exciting, vibrant and, sadly, all but forgotten era of American popular culture. Radio Dismuke is a 24 hour Internet Radio Station playing 1920s & 1930s popular music and jazz. Features vintage recordings from a wide variety of musical genres from the personal 78 rpm record collections of Dismuke and his guest contributors. Dismuke's Twitter Feed - Recommending and linking to great 78 rpm era music elsewhere on the Internet. Meet and interact with others who enjoy Radio Dismuke and this site. Discussions about any aspect of the early 20th century and its popular culture are welcome. Enter your email address to receive the free Radio Dismuke Newsletter. Subscribers receive notification and exclusive playlists of all station updates as well as occasional reviews of websites, CDs and other items of interest. The following projects are no longer being updated or maintained. However, they will continue to remain available through this archive. 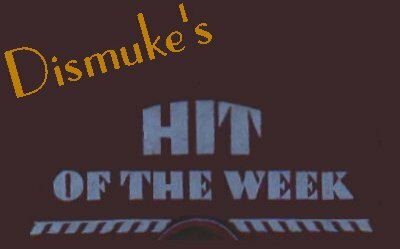 The forerunner of the my current 78 RPM Blog, the Hit of the Week section of this site was updated between 1999 and 2010. Most audio files are in Real Audio format only. Recordings posted prior to late 2003 were digitized without my current audio restoration equipment. Dismuke's Virtual Talking Machine was the original name of this entire website. What is archived here under the name is the original portion updated between 1998 through 1999. The Virtual Talking Machine was among the early websites to stream vintage recordings and received favorable write ups and reviews from several major media organizations. All recordings in this section are in Real Audio format. All original writing and image files on this site are copyright©1998-2011 by the site owner. All other image files are either public domain or have been used with the permission of the copyright holder. To the best of my knowledge, all sound files on this site have been taken from recordings that are in the public domain. However, if you are the owner of any material on this site that is, in fact, protected by copyright, please contact the site owner and the offending material will be removed at your request.